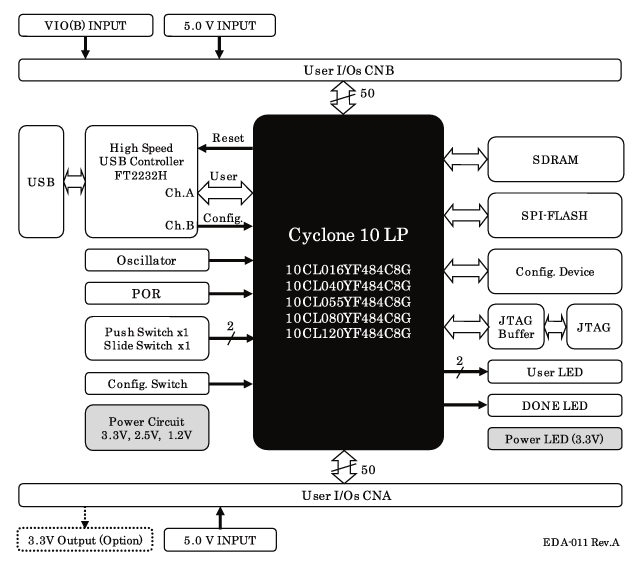 EDA-011 is Intel Corp.'s High performance USB-FPGA Cyclone 10 LP board. 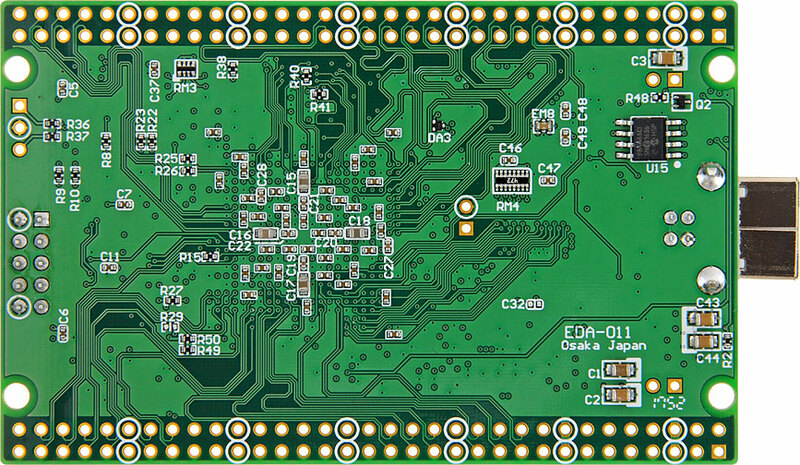 EDA-011 is compact and very simple. EDA-011 operates with single 5.0V power supply. 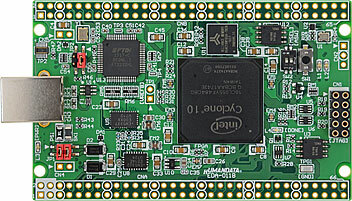 An FT2232H is mounted for FPGA configuration. 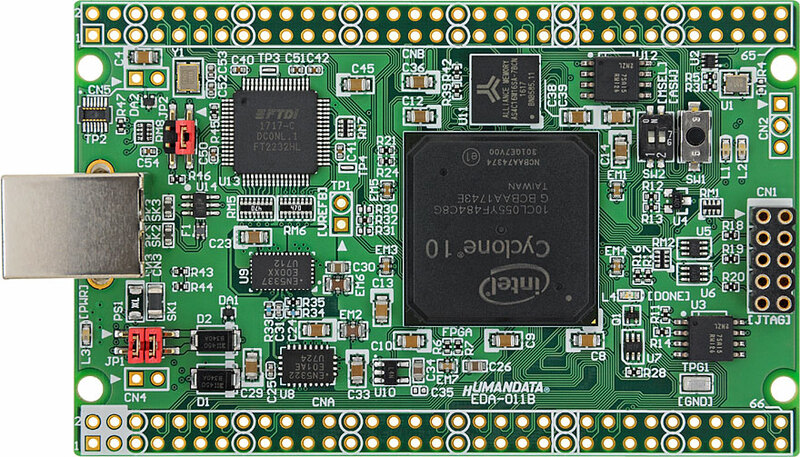 No download cable is needed to configure the FPGA with HuMANDATA original configuration tool "BBC[EDA-011]". 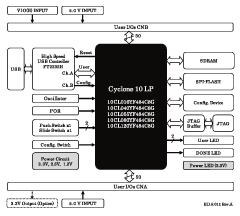 - Free Original Configuration Tool " BBC[EDA-011]"